Rocco has his 5th. Birthday party at the scout hut behind the South Woodford library and all of his class are invited. 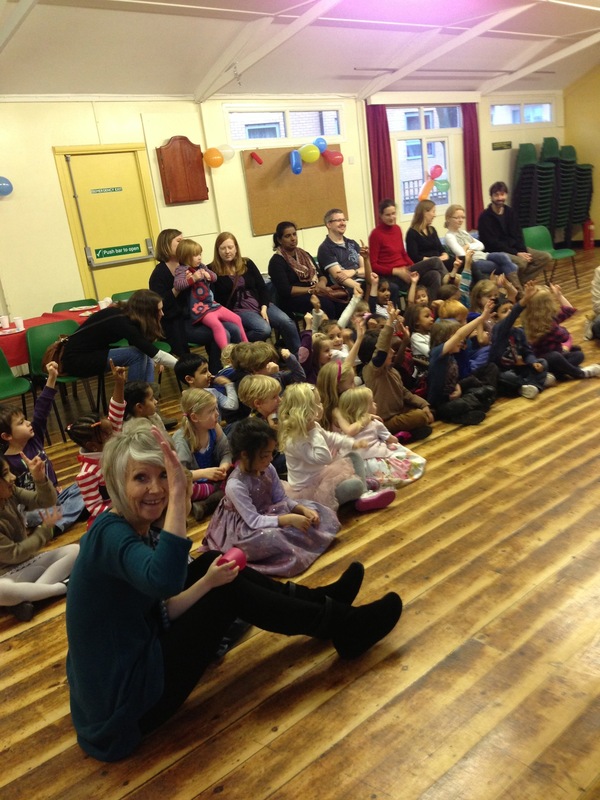 Mr. Ballooney, the entertainer, has to amuse and occupy 35 children and most of their parents. And he does it well for an hour and a half after which there is a party with cakes and sandwiches prepared by Danae. 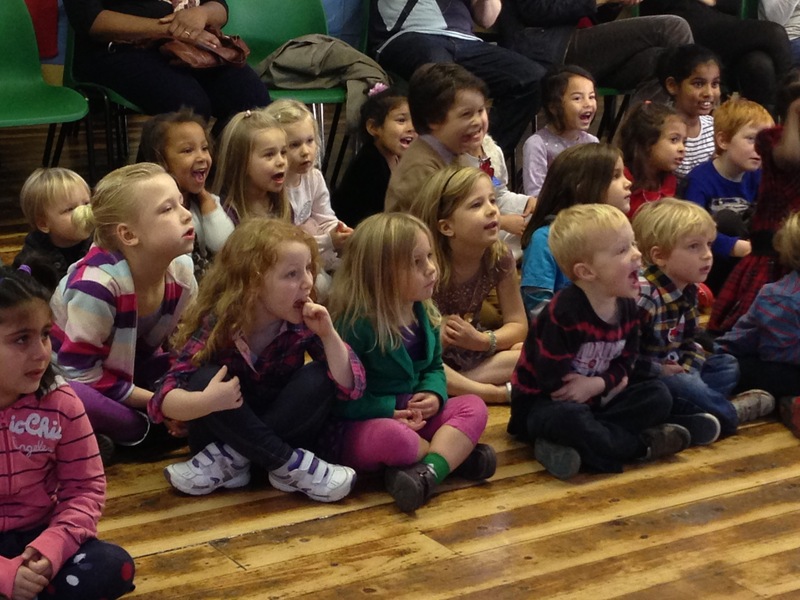 all the kids sit eagerly……. 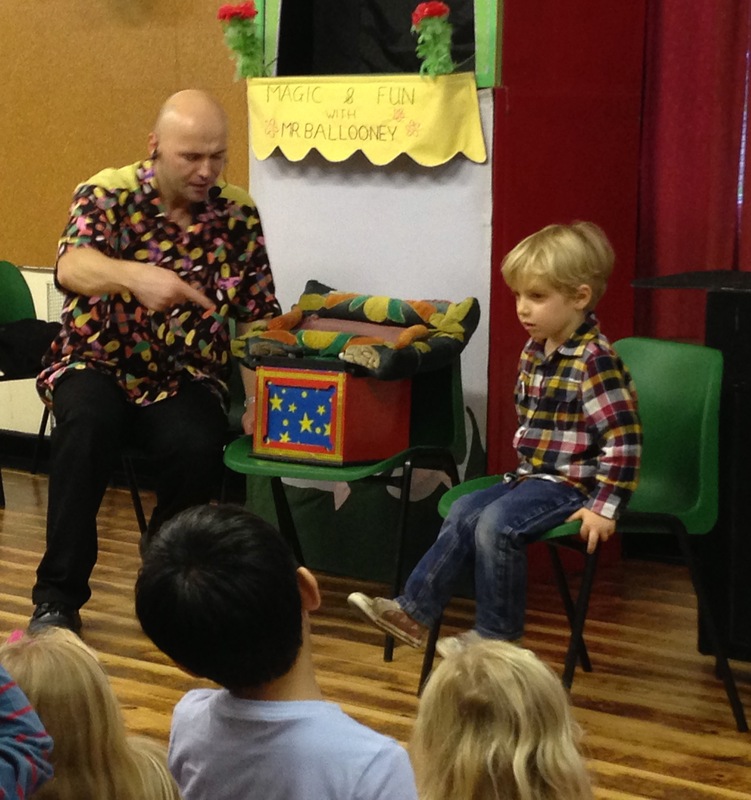 ….enraptured by Mr. Ballooney’s show…..
…..featuring a rabbit, ballons and Rocco. Louisa and family and Thom, without Tara who is unwell, are also there and we all go to Danae and Nathan’s house afterwards for dinner – a hippy bean stew. 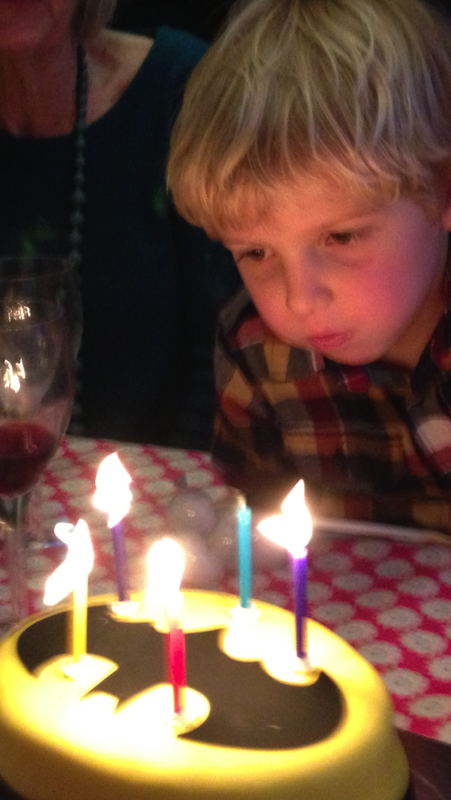 Rocco behaves impeccably as the birthday boy although the odd balloon bursting does startle him.